Permit me to get on a soapbox today. I just watched a TV series that rubbed me the wrong way and for all the wrong reasons. There was nothing wrong the the episode I watched in anyway, except that, as art imitating life, it put into perspective one of my pet peeves. Part of the episode included the beating of a young man by three other males because he was gay and how his four friends each reacted to the startling reminder of their vulnerability. I felt a melange of emotions so raw I surprised myself, since I am not given to particularly strong emotions. I felt deep sorrow, seething rage, utter disgust and a primal urge to scream. Violence of any sort upsets me. Violence against any kind of minority enrages me. Regarding this TV show episode, the person who was beaten (I refuse to use the word 'victim'), was minding his own business at a gas station and made no threatening gestures; used no threatening words. So why was he attacked? But much as we would like to wish it away as some misguided, ignorant individuals who couldn't possibly count among our circle of friends, I beg to differ. Those three men represent us in some form or fashion, to some degree. It may not be expressed as outwardly or violently, and it may not be against gay people, but we look at people who are different from us in some way, through the prism of our prejudice. And prejudice is a result of ignorance. Unfortunately, even religions adopt an 'us-versus-them' attitude. We hurt people in subtle ways because of their skin color, hair color, height, race, religious beliefs, sexual orientation and identity, their bank accounts (or lack thereof), their size and a host of other factors. The absence of action, is, in itself, an action. You may not go around bashing people physically, but are you doing anything to make things better? Are we so insecure about ourselves that we have to bring others down to feel better about ourselves and the cocoons we have created for ourselves? you'll find things you never knew you never knew..."
If there is one thing I've learnt in 40 years, it is tolerance. 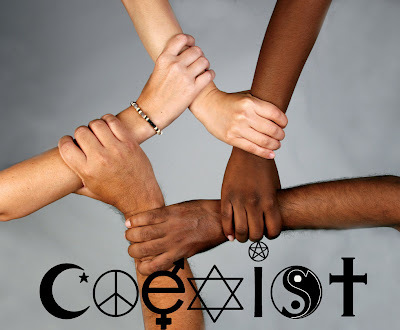 Let's make a pact today to teach our kids to be tolerant. The world doesn't need any more hatred of any sort. In the words of Rodney King: "Can we all get along?" A difference in opinion or perspective on life is not equivalent to being an enemy. Remember the Golden Rule: Do unto others as you would have them do unto you. I will now get off my soapbox. Thank you for reading.